Affordable Condo located in Vila Sitio de Ensueno. Ideal location in Central Pacific zone for easy access to Punta Leona and Los Suenos. 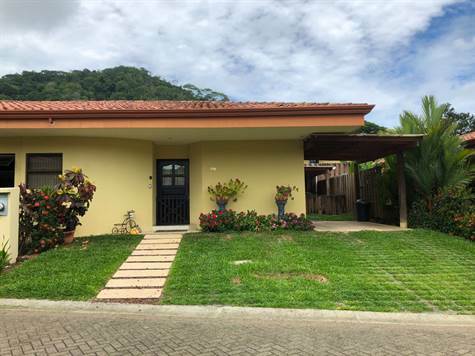 This two bedroom two bathroom unit is located in a gated secure community close to the beach. It features kitchen and living room that opens to outdoor terrace with a jacuzzi. Additional amenities include large community pool for adults with separate pool and playground for children. Also BBQ Rancho for outdoor fun with family and guests. Fully furnished and turn-key - Ideal for full time residents or income producing rental.